We are back at Belmont for the fall season with a 10 race card that looks competitive today. Follow me on Twitter for possible tickets throughout the day. Sorry we didn’t post yesterday, but we are back today for what looks like a nice competitive card at Saratoga Race Course. We like a few shots today so boxing might not be a bad idea. Six winner out of nine races yesterday, but we couldn’t build any momentum for the rolling bets. We are back at it today for what looks to be a pretty competitive card at Saratoga. Follow me on Twitter for possible tickets later today. Sorry we haven’t posted the past few race days, but I’ve always said that I won’t share selections with you unless I feel I am totally prepared and that wasn’t the case recently. We are back at it today with the full card capped and what appears to be very nice weather so we should be fast/firm all day. SATURDAY – 08/05/2017 Whitney Day! Well after last weekend we took a short hiatus to regroup as our performance was below our standards. 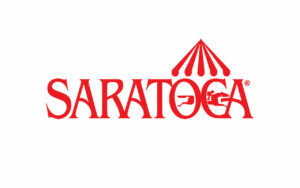 I went back and watched every race that was run at Saratoga so far this meet and think I noticed a few things that should help us as we progress through the toughest meet of the year. I am going to wait to see how the track is playing after rain last night and this morning before possibly sharing any tickets. Check my Twitter feed for the most up to date information. We are looking for redemption after a less than stellar performance at Saratoga the past two days. Let’s get the week off to a profitable start with today’s selections. We had a few yesterday, but would have preferred a better day and we went deep in the wrong leg of our Pick 4 ticket that we shared on Twitter. It looks like we have some prices today so let’s make some dough. As for today’s Haskell at Monmouth Park, I am boxing Practical Joke and McCraken in the Exacta. I think the race sets up for them to do battle. SATURDAY – 07/29/2017 Bing Crosby Day! Ok guys, well I did the work at Del Mar as I am playing a few today, and figured I would share what I am looking at with you. This is more of a one time thing as we are concentrating on Saratoga at this time of the year, but a little West Coast action never hurt anyone. Good Luck! SATURDAY – 07/29/2017 Jim Dandy Day! Sorry we missed you guys yesterday, sometimes life gets in the way and I won’t share selections unless I feel that I have adequately prepared for that day’s card. Let’s hit’em hard today! Not the strongest of performances yesterday, and disappointed we couldn’t bring home the late Pick 4 in the finale. The weather looks iffy today at Saratoga, so I would suggest treading lightly and preserve your bankroll for what looks like a great weekend of wagering.